Just perfect for that Pirate themed birthday party. 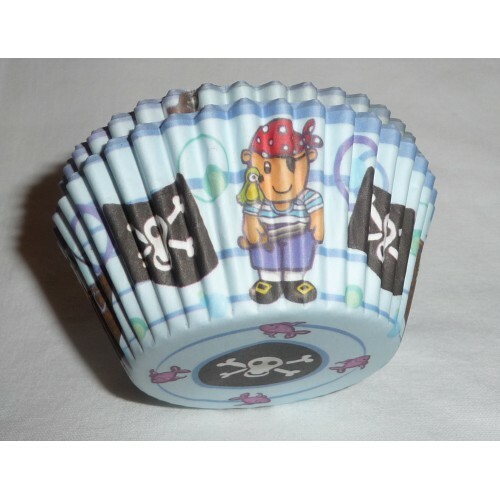 Pirate Cupcake Cases with 50 in a pack (measures approx. 8cm diamater and 3.5cm in height). Pirate Mini Cookie Cutter SetBoxed set includes 7 different cutter shapesMini Pirate Ship, Mini Pist..